Even as Donald Trump’s election has galvanized anti-immigration politics, many local governments have welcomed immigrants, some even going so far as to declare their communities “sanctuary cities” that will limit cooperation with federal immigration authorities. But efforts to assist immigrants are not limited to large, politically liberal cities. Since the 1990s, many small to mid-sized cities and towns across the United States have implemented a range of informal practices that help immigrant populations integrate into their communities. 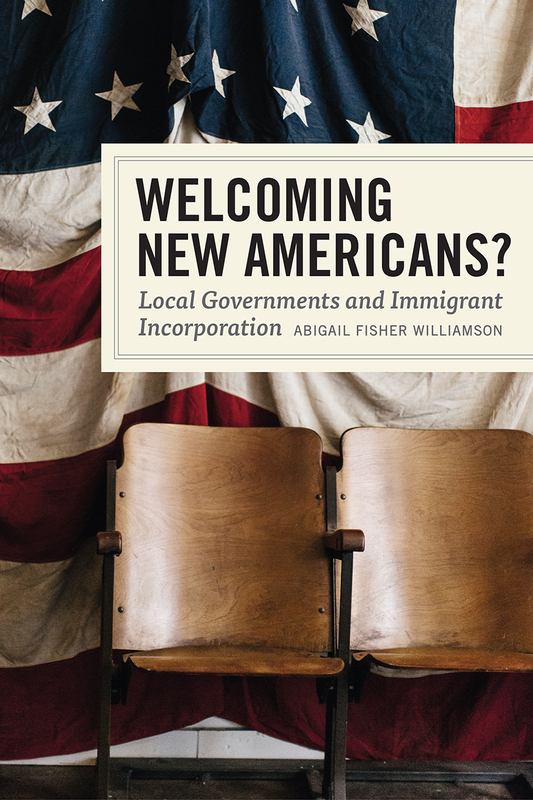 Abigail Fisher Williamson explores why and how local governments across the country are taking steps to accommodate immigrants, sometimes despite serious political opposition. Drawing on case studies of four new immigrant destinations—Lewiston, Maine; Wausau, Wisconsin; Elgin, Illinois; and Yakima, Washington—as well as a national survey of local government officials, she finds that local capacity and immigrant visibility influence whether local governments take action to respond to immigrants. State and federal policies and national political rhetoric shape officials’ framing of immigrants, thereby influencing how municipalities respond. Despite the devolution of federal immigration enforcement and the increasingly polarized national debate, local officials face on balance distinct legal and economic incentives to welcome immigrants that the public does not necessarily share. Officials’ efforts to promote incorporation can therefore result in backlash unless they carefully attend to both aiding immigrants and increasing public acceptance. Bringing her findings into the present, Williamson takes up the question of whether the current trend toward accommodation will continue given Trump’s anti-immigrant rhetoric and changes in federal immigration policy. 8 Municipal Accommodation: Generating Welcome or Backlash?